As with humans, when dogs get older their bodies get older too. Changes occur in their joints, skin, coat and brain and they can lose their ‘spark’. Helping your dog remain healthy, active and alert as they age is just one of the things we can do to say thanks! 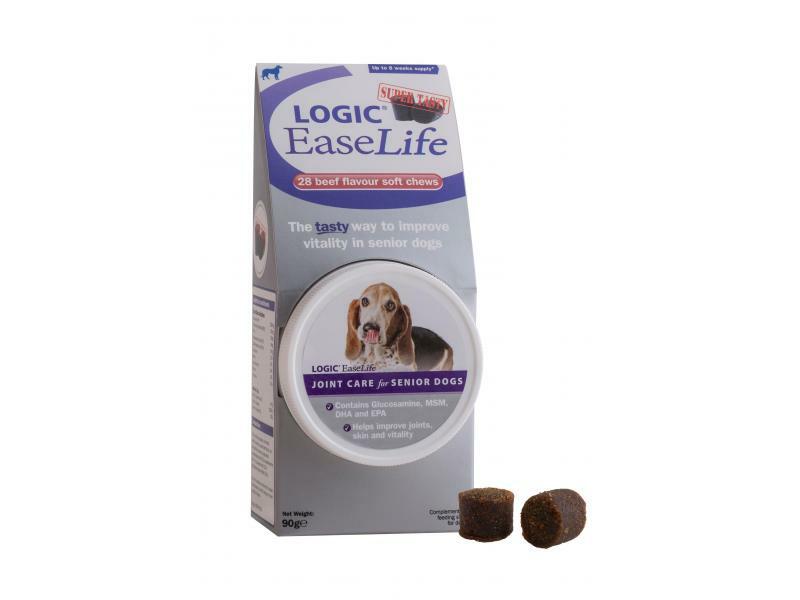 Logic EaseLife is a tasty senior supplement which has been developed with a specific combination of essential nutrients to help support mobility, coat condition and mind vitality in senior dogs. Glucosamine HCL: A type of naturally occurring amino sugar, which plays an important role in the formation of healthy joint cartilage. MSM (Methylsulfonylmethane): A source of naturally occurring sulphur, required as a building block in cartilage, which plays a vital role in joint health. Omega 3 (DHA and EPA): Necessary components of cells helping to support the skin, immune system and mind vitality. Vitamin E: A natural antioxidant which helps to neutralise free radicals. 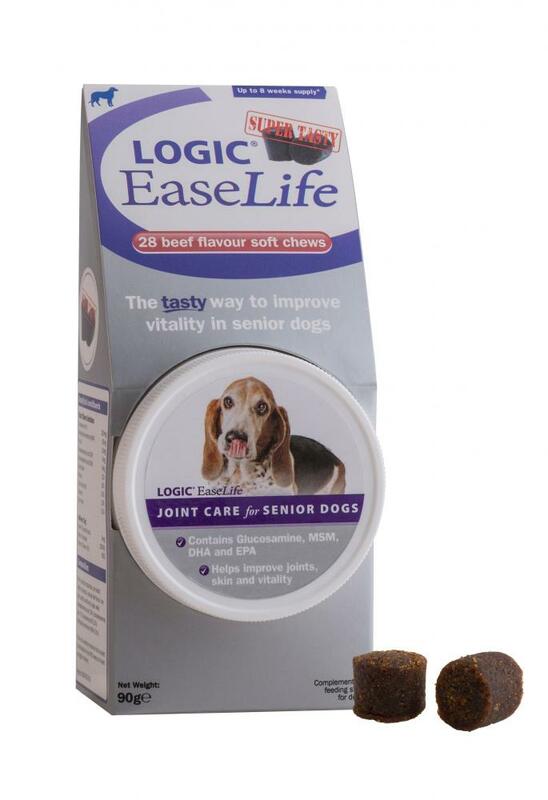 With its highly palatable beef flavoured soft chews, EaseLife is the tasty way to support vitality in senior dogs. There are currently no questions for Logic EaseLife - be the first to ask one!